What Better Turnaround Than IBM? During the 1960s, IBM spent $5 billion to develop the IBM System/360 – a series of mainframe computers. The 360 series were perfect examples of disruptive technology at the time. They functioned with a wide selection of commercial and scientific application programs. They were highly profitable within the market place. Thanks to the 360s, from the 1960s to 1985, company’s sales increased 14% annually. IBM was the market leader in the computer sector. During the 80s, IBM captured 70% of the profits and 40% of the revenue of the marketplace. The UNIX operating-system was developed by a group of AT&T workers at Bell Labs. UNIX was centered on a client-server model. It was written in C code, a high level software programming language, which meant that it could be set up on any computer system which had a C compiler. IBM was no-longer the single one in the “architectural” driver’s seat. At the end of the 80s, IBM found themselves within the low profit margin areas of the industry. With 400,000 employees, it was a huge, bureaucratic, international corporation that could not keep up with smaller sized and much more agile firms. The company had become complacent and arrogant. John Akers, the Chief Executive Officer, began taking extreme measures. Low margin portions within the business were sold off or terminated, and plans to split the core enterprise into smaller sized autonomous units were being undertaken. Nevertheless, these efforts weren’t sufficient. In 1991, IBM reported business losses. In Jan of 93, IBM reported a $8.1 billion dollar loss. Until then, this was the greatest company loss in U.S. history. The market pounded on IBM. Countless more people lost their jobs. In 1993 Lou Gerstner was contacted about the job. He was a Harvard MBA, had consulted with McKinsey, had run a major group at American Express, and had worked at RJR Nabisco as their chairman and CEO. 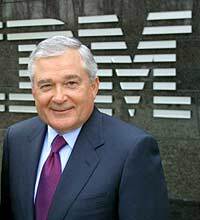 To address IBM’s severe cash problem, Gerstner sold off IBM’s unproductive businesses. Gerstner knew IBM’s economic model could not work. After spending time with many customers, Gerstner knew that customers wanted to turn over their technology business to top service providers who were able to visualize, design and create end-to-end solutions. It was clear to Gerstner that the future of the industry’s future would be services-led instead of hardware-driven. Thus, the mainframe model had to change. Instead of splitting the company up, Gerstner went against the grain and decided to hold the corporation together. Gerstner chartered 60 re-engineering projects concentrated on customer value as well as support processes, and various IBM sections initiated 100s more. The re-engineering saved IBM $14 billion and decreased its hardware development cycle-time by over 400%. Gerstner consolidated IBM’s marketing initiatives from seventy various news agencies to just one. The new agency produced the well-liked “Solutions for a Small Planet” marketing and advertising strategy, that presented IBM as the global firm and the top integrator. By the middle of the 90s, IBM’s services business was considerably less important to the firm than their hardware business. IBM became the most successful services business in the market. By 2001, IBM services represented $30 billion in income.